Offering you a complete choice of products which include railway hinges brass, door handles hinges and door hinges. Owing to our proficiency in this domain, we are engaged in offering Railway Hinges Brass. The offered hinges are manufactured by using high grade brass and leading technology in accordance with the set quality standards. Our offered hinges are properly tested by vendor’s quality controllers on set parameters to ensure its flawlessness. These hinges are acclaimed for its optimum finish in the market. 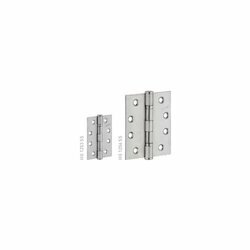 Note: All Two Ball Bearing hinges are available in Satin Silver (SS) finish. 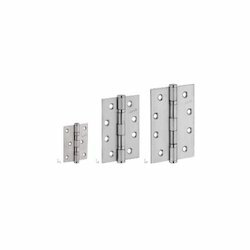 Note: All Steel Door hinges are available in Satin Silver (SS) finish only.